Happy Passover! Joy of Kosher is celebrating their first birthday this month! 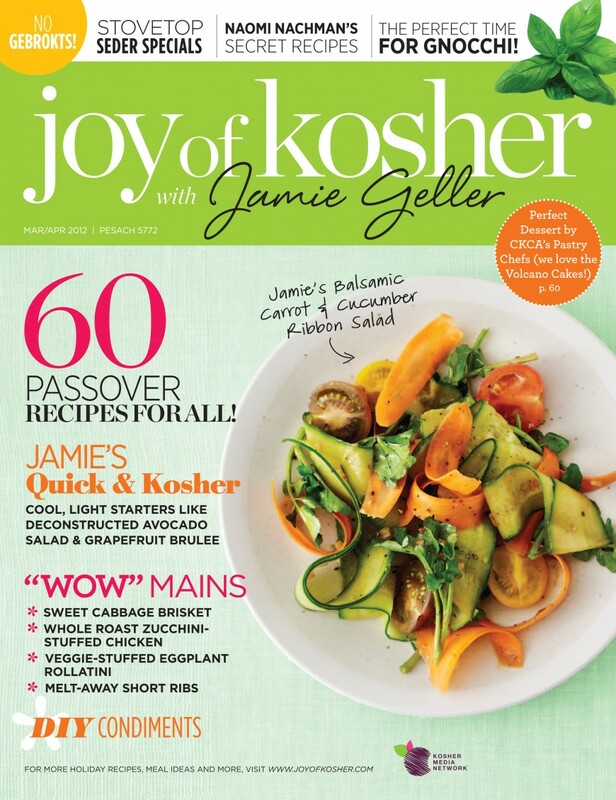 It’s been a year since they published the first Joy of Kosher magazine and it keeps getting better. These recipes are the kind of exquisite, delicious, and innovative Passover menu ideas you won’t find anywhere else. Pastry chefs from CKCA share their kosher for Passover Volcano Cakes — prepare for an eruption of applause at your seder. Jamie lightens things up with spectacular starters and Chavi shows us how to wow our guests with Roll Ups. Don’t miss the DIY condiments… you can say goodbye to Passover ketchup forever. Click HERE for more info and subscriptions.